Finding the perfect pair of jeans can be very challenging as they’ve got to have the right fit, right cut, feel comfy and look good on! Believe it or not, trying on multiple pairs of jeans (hoping that the one in your hand is the perfect one) is too much hassle and 31%* of people agree with me! Nevertheless, I love my black skinny jeans and would go the extra mile to find the perfect fit. I’m also part of the 21%* of people who buy multiple pairs of the same skinny jeans, often in multiple colours, when I do find the PERFECT pair! Everyone has their favourite place to shop for jeans! I recently discovered the perfect pair of black skinny jeans at George at ASDA and it’s become one of my most worn items for the past few weeks! Although I love classic blue denim, I’d pick black over blue any day when it comes to jeans. 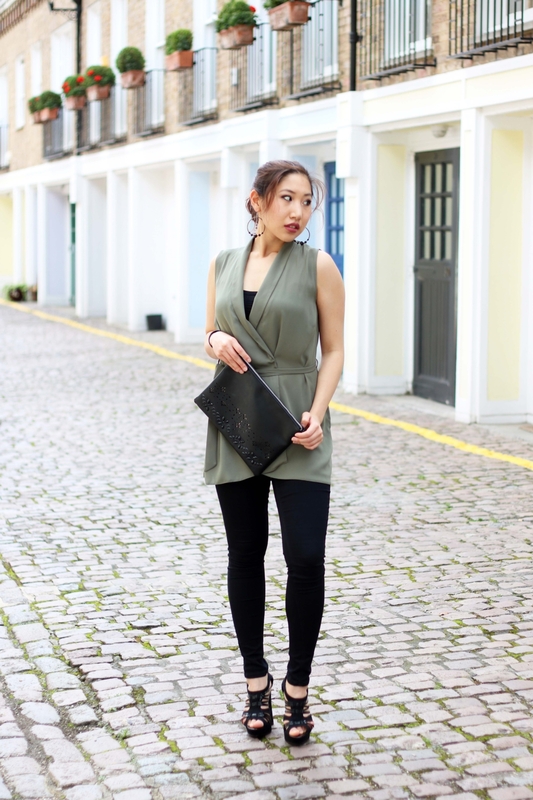 My favourite things about black skinny jeans are that they make my legs look slimmer and they’re easy to style! To show you just how versatile these Black Wonderfit Skinny Jeans from George jeans collection really is, I styled up three looks that I’d wear for three occasions! 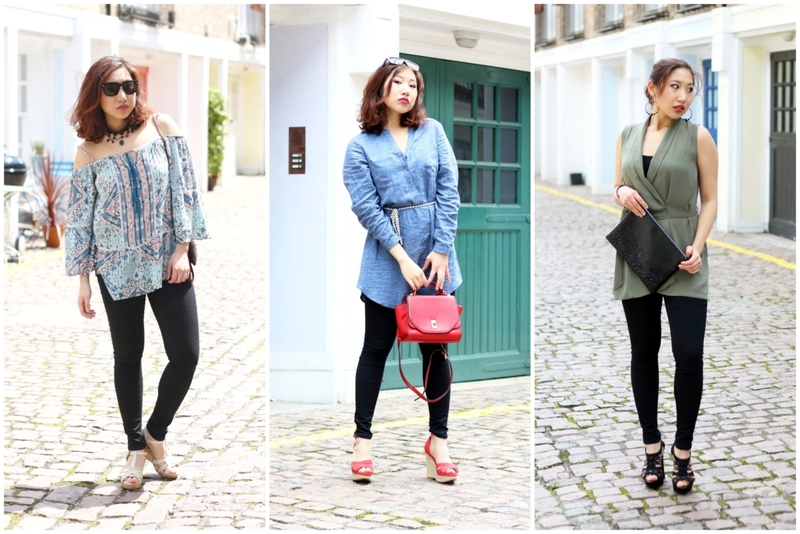 The three looks here are outfits I’d wear from morning to night! 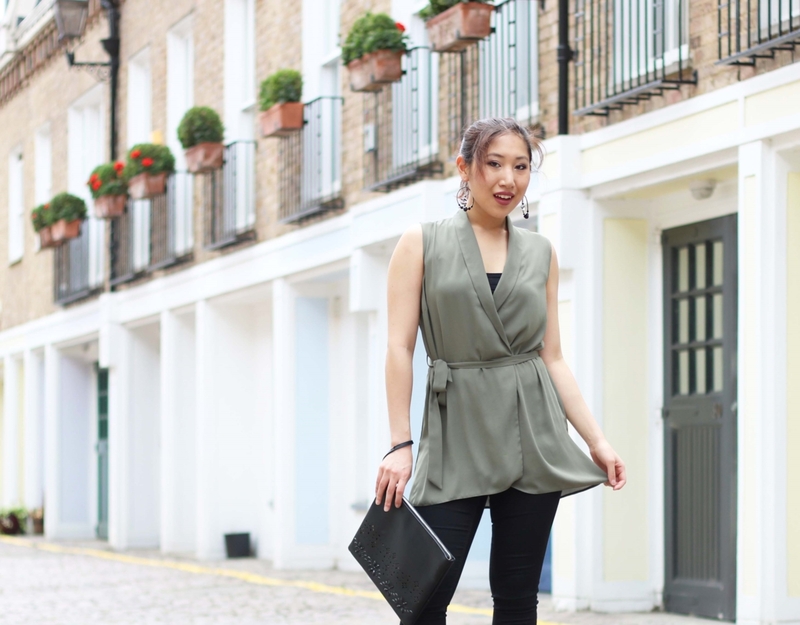 The first outfit – Effortless Chic is all about a nice day out in the summer (thankfully, the sun came out for this outfit! 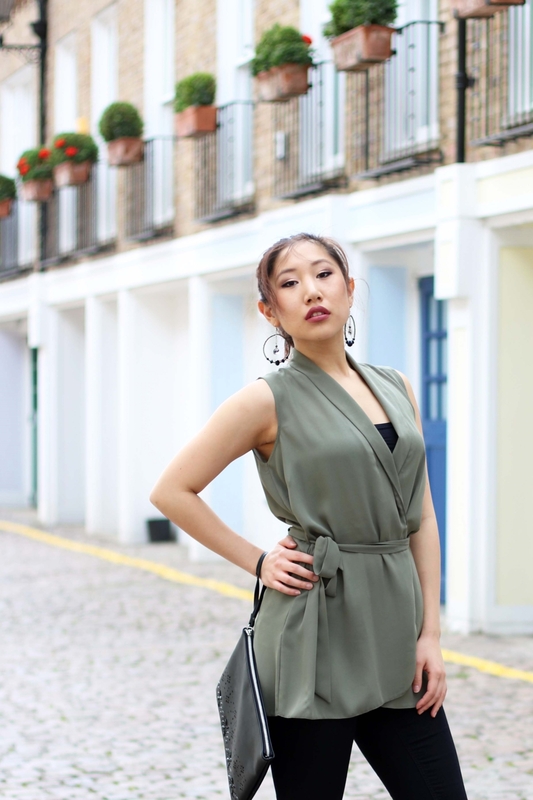 ), the second outfit – Casual Street Style is something I’d wear for a shopping trip or hanging out with friends and the last outfit – All Glammed Up is definitely something I’d wear on a night out! 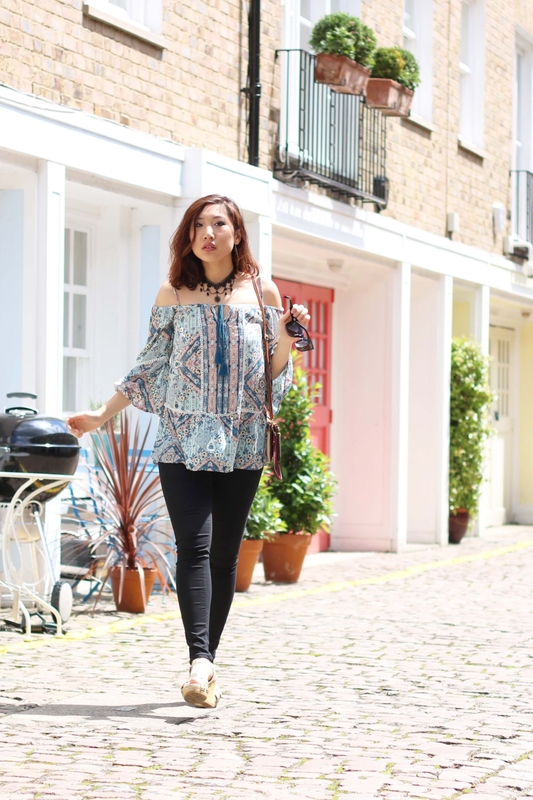 Cold shoulder tops are totally in this summer and they’re effortlessly chic! I love the loose fit of this Paisley Top from Gerorge at ASDA and it goes perfectly well with black skinny jeans! 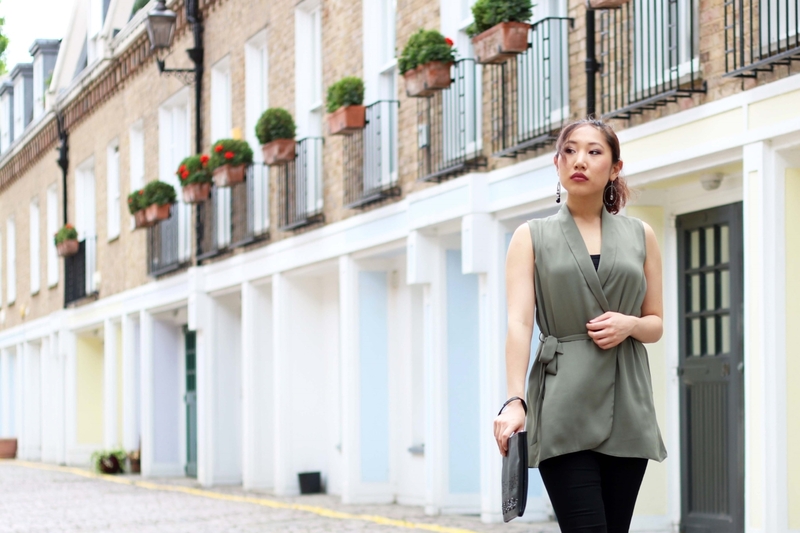 This outfit is perfect for a day at the park because it’s simple, colour and extremely comfy! 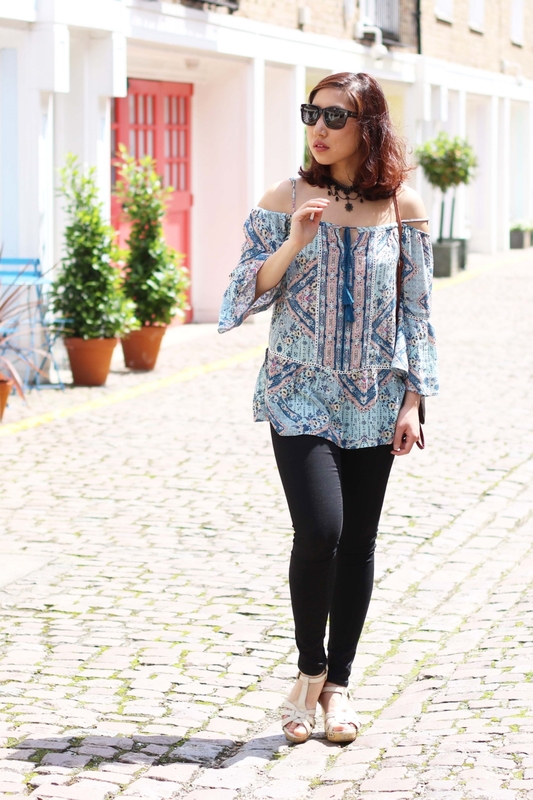 This paisley top is currently sold out, but there are plenty of gorgeous cold shoulder tops at George at ASDA. 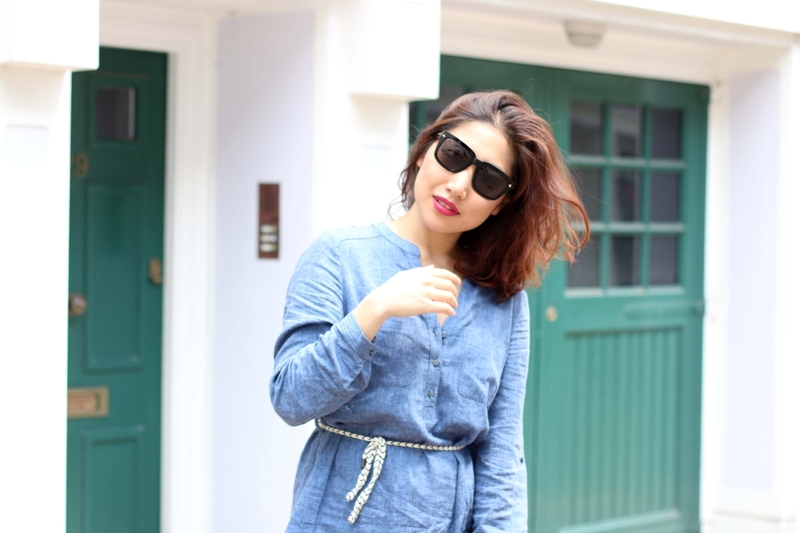 This outfit is all about keeping it simple whilst experimenting with a new look! 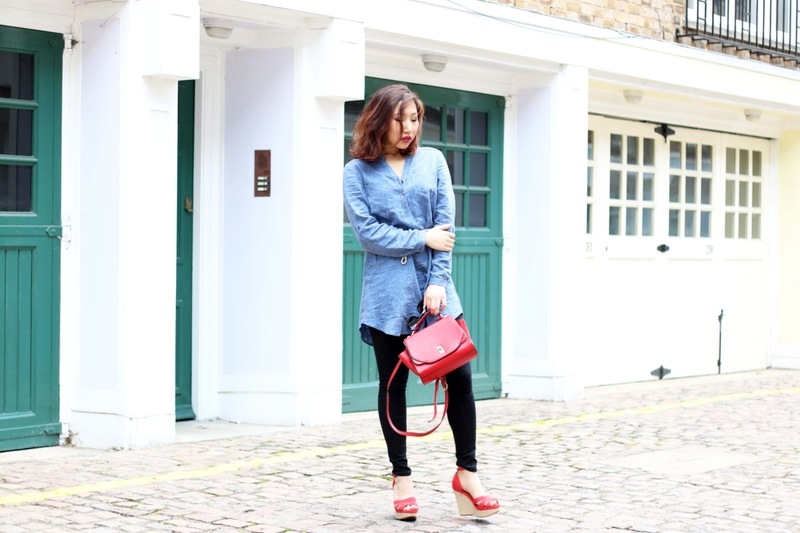 So for this outfit, I tested out denim on denim with a pop of colour which adds a bit of a summer vibe to this look! 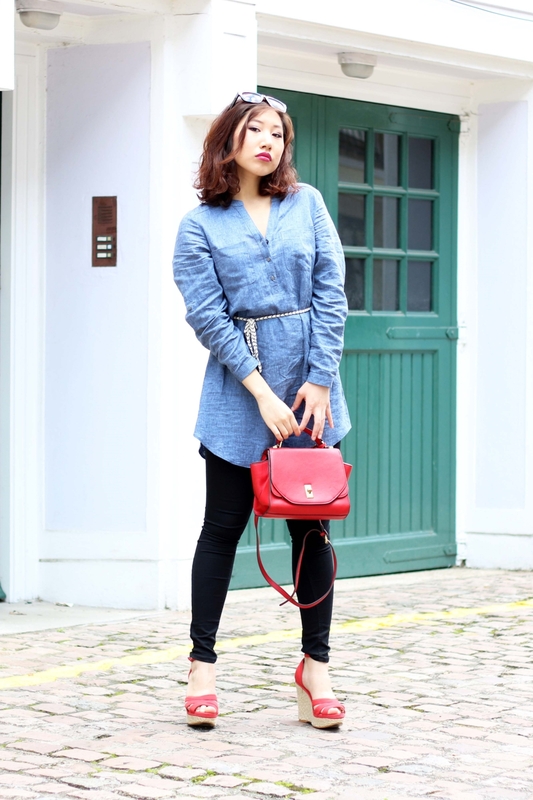 I’m in love with this Denim Tunic and you can probably tell that I’ve been wearing it a lot! This is definitely my favourite outfit from the three and I’d pretty much wear it everywhere! 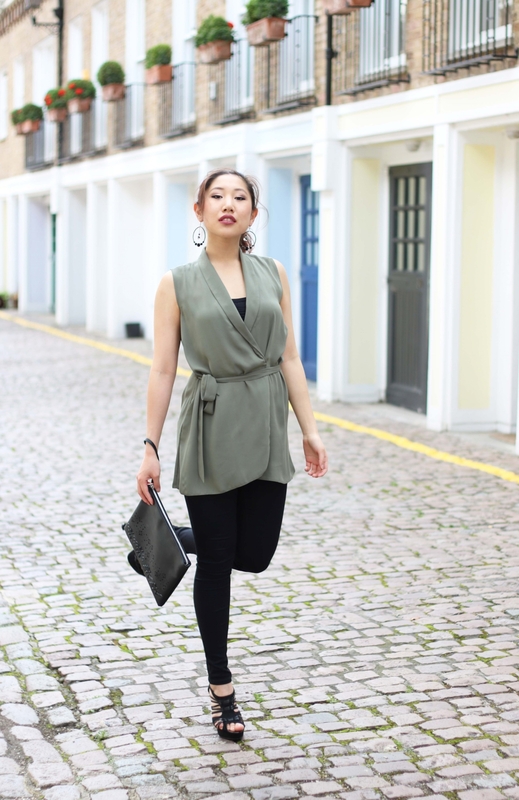 Swapping from a day look to a night look is easy when you have a pair of Black Skinny Jeans and a party top! I’m also obsessed with big earrings and I always feel glammed up wearing them! At George at ASDA, you can always find pretty party tops for a good price. I love how the casual looking jeans instantly looked smart with the right top and accessories! I love outfit challenges, so feel free to check out some of my other challenges featuring multiple looks with 1 item: Denim Skirt Style Up & 3 Looks with 1 Paisley Dress.